Hi everyone, I’m Cindy, from Hun… What’s for Dinner? 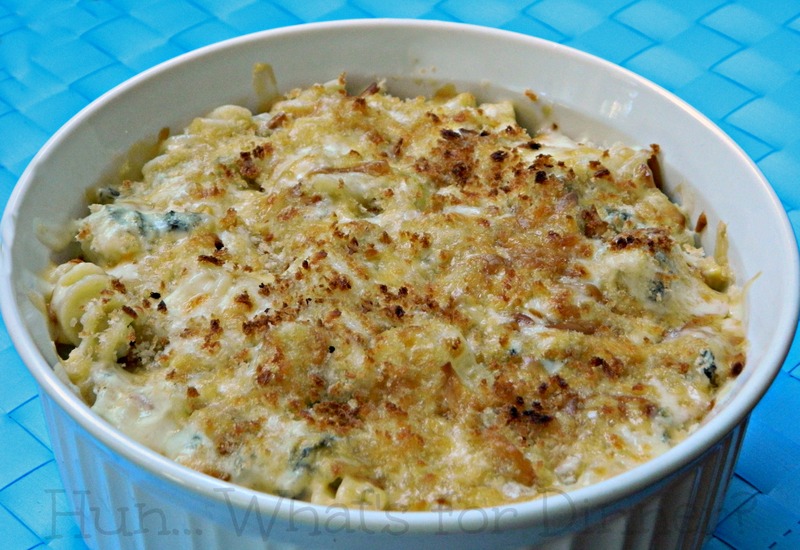 I am so excited to be sharing a wonderful recipe with you today, while Nettie is away. I first ‘met’ Nettie, on Facebook, many years ago. Recently we’ve gotten closer, but working together on recipe round ups. When Nettie left to go help a friend, I gladly offered to guest post while she was gone. I love pasta! I probably could eat it every day. It is my go to, for nights where I want to make something delicious, but not spend forever in the kitchen. There’s nothing yummier than a plate full of cheesy pasta! Recently I decided to substitute kale, in one of our favourites; Spinach Dip. Kale had been on sale, so I thought the kale would taste just a delicious as spinach. Boy was I right. We inhaled the Kale Arti Dip in no time flat. Since I still had kale leftover, and I was still day dreaming about the dip, I decided to try and turn it into a pasta dish. Turned out to be one of the best decisions I’ve made in a long time, LOL. Bring a large pot of salted water to a boil. Add in pasta and cook, according to package directions. While pasta is cooking, heat oil in a large skillet, over medium high heat. Add in onion and cook until translucent; about 2 minutes. Add in chopped kale and minced garlic, and cook until kale is wilted; about 5 minutes. Season with salt and pepper. Add in artichoke hearts, white wine and chicken stock; cook 3 minutes. Cut cream cheese into small cubes and add to the skillet, along with mayonnaise. Stir all together, until cream cheese has melted. Stir in 1/2 C mozzarella cheese and Parmesan, until melted and sauce is smooth. Drain pasta and return to the hot pot. 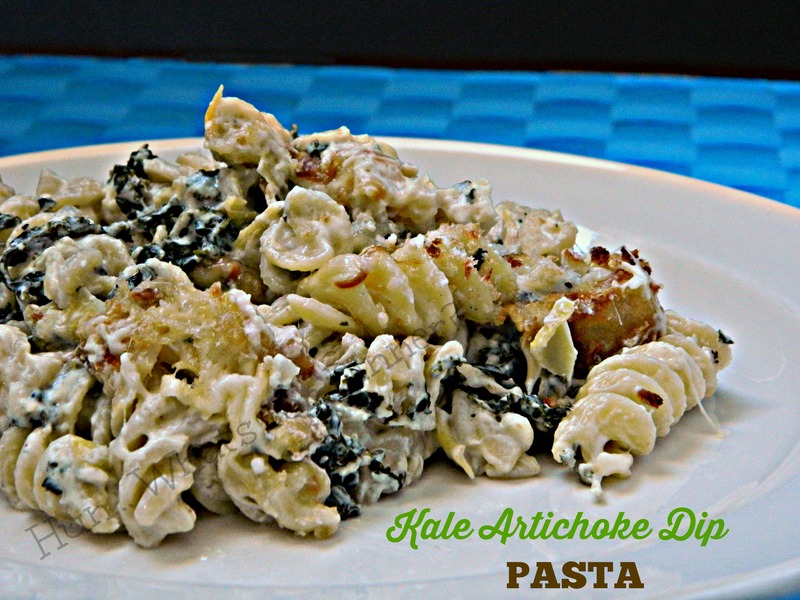 Pour kale artichoke sauce over pasta and toss to coat. Transfer to a baking dish. Sprinkle with remaining mozzarella, smoked Gouda and Panko bread crumbs. Place under broiler, until top is lightly browned; 3-5 minutes. I love the addition of gouda to the topping. Definitely need to try this one! G’day! Not a big fan of kale but would like to try this now!